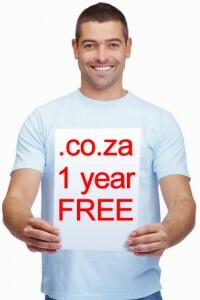 Plett Web Hosting is offering one FREE .co.za domain name registration with all new hosting packages ordered in May. We wanted to offer this a month ago, on the first of April, but we figured people would think it was an April Fools joke, so we waited till now to bring you this great special. The deal is, with every new hosting package ordered from 1 May to 31 May, you’ll get a .co.za domain name of your choice absolutely FREE! That’s a saving of R119.00! To get your free domain name simply email brendon@plettwebhosting.co.za or call Brendon on 082 489 2655 for more details. This entry was posted in News and Updates, Special Offers and tagged bargain, domain, domain name, free, hosting, offer, plett, plettenberg bay, registration, save, special on May 1, 2017 by admin.